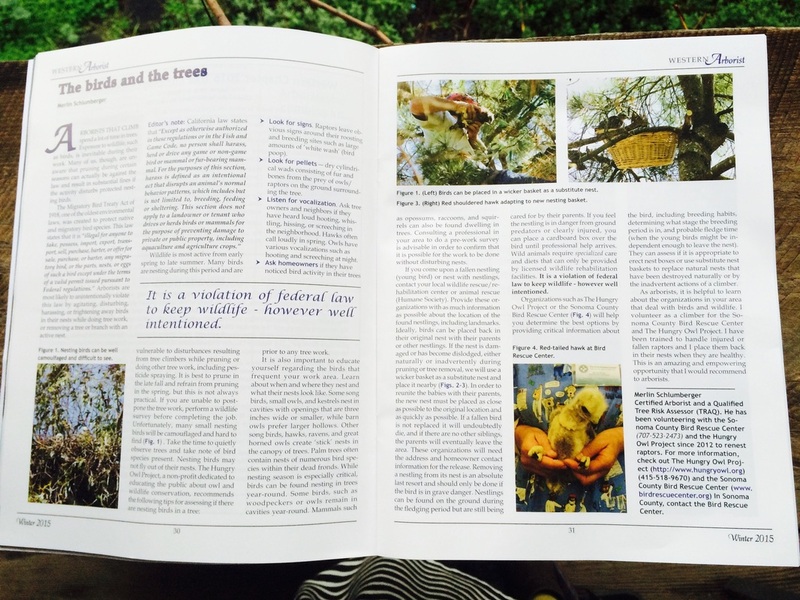 Article highlighting the responsibilities and proper protocols for arborists dealing with wildlife such as birds. 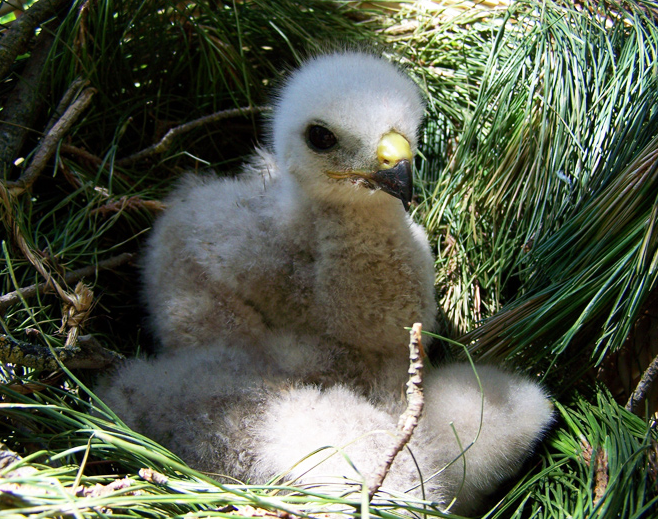 Report on renesting of baby red-shouldered hawk in Kenwood, CA. The original nest had disintegrated, so we replaced it with a wicker basket. The parents returned and continued feeding the baby. Successful renesting of three young Cooper's Hawks into wicker basket in a tree. Parents returned to the new nest to continue feeding. Volunteers continued to monitor the nests and all three successfully fledged! The Hungry Owl Project: "The Importance of Wildlife Sensitive Tree Work"